This is an incredible acrylic painting on canvas by artist Lance Laurie. 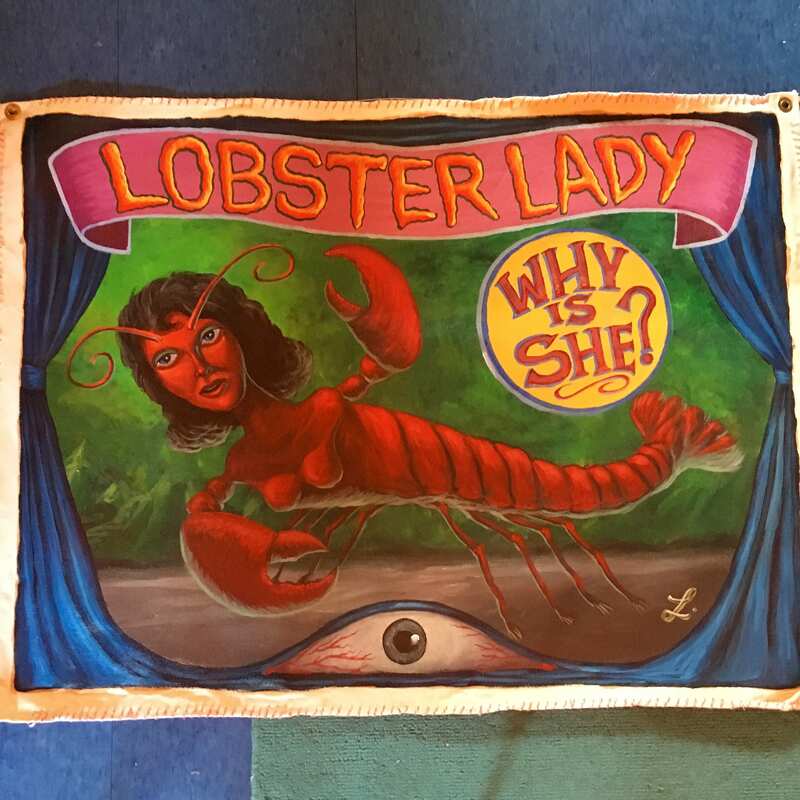 Many of Lance's works explore freak show imagery and sign art. grommets on the corners for easy hanging.